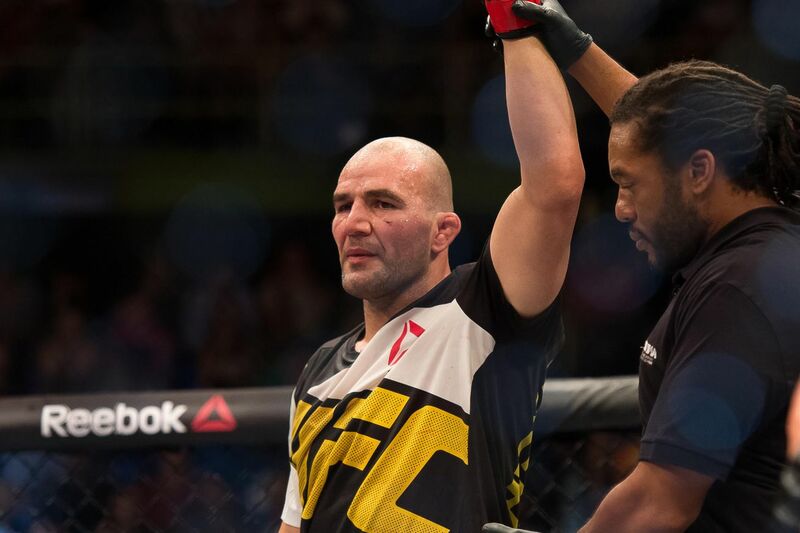 Former UFC light heavyweight title challenger Glover Teixeira has made his desire to compete for the 205-pound title once more no secret. In fact, he’s told as much to MMA Mania in an interview following his second straight victory, which came via second-round TKO against Patrick Cummins last November in Brazil. Teixeira, 36, will now go for his third win in-a-row after accepting a fight with ex-title challenger Rashad Evans, with Shogun Rua injured, at UFC on FOX 19 in Tampa, Florida, on April 16, 2016. He apparently took the contest without batting an eyelash, according to Portal do Vale Tudo (via Bloody Elbow). The Connecticut-based striker previously fought Jon Jones for the light heavyweight strap in a UFC 172 main event and fell via unanimous decision. Evans saw his two-fight win streak go up in smoke after he returned, following a two-year layoff because of injury, to face All-American wrestler Ryan Bader at UFC 192 back in October. “Suga” was bested in Houston, Texas, over three rounds. To see who else is fighting on the UFC on FOX 19 card click here.